Discussion in 'Guitar Emporium Archive' started by dmkz, May 5, 2016. 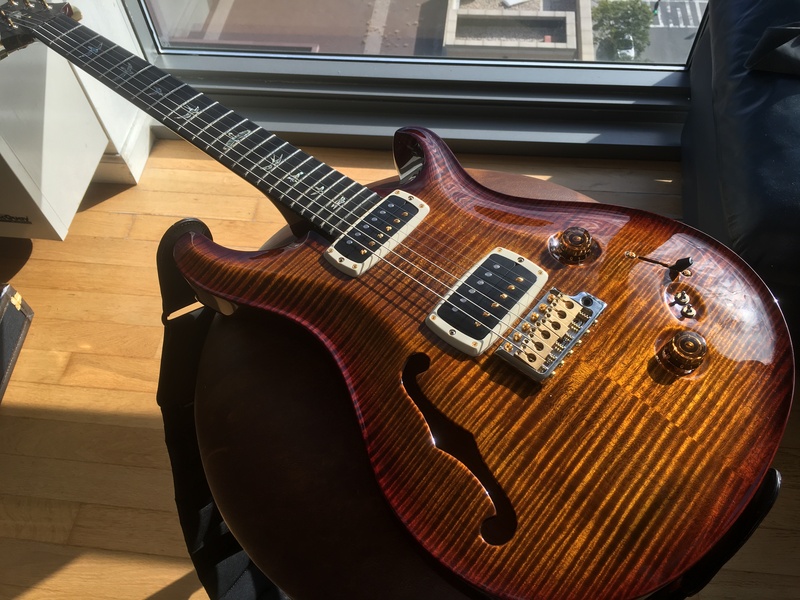 Sad to be putting this up for sale, but I will be soon be moving from one small NYC apartment to another slightly smaller NYC apartment...so some guitars gotta go to make room for a couch or something, perhaps a mirror. Whatever my girlfriend has in store, let my loss be your gain! 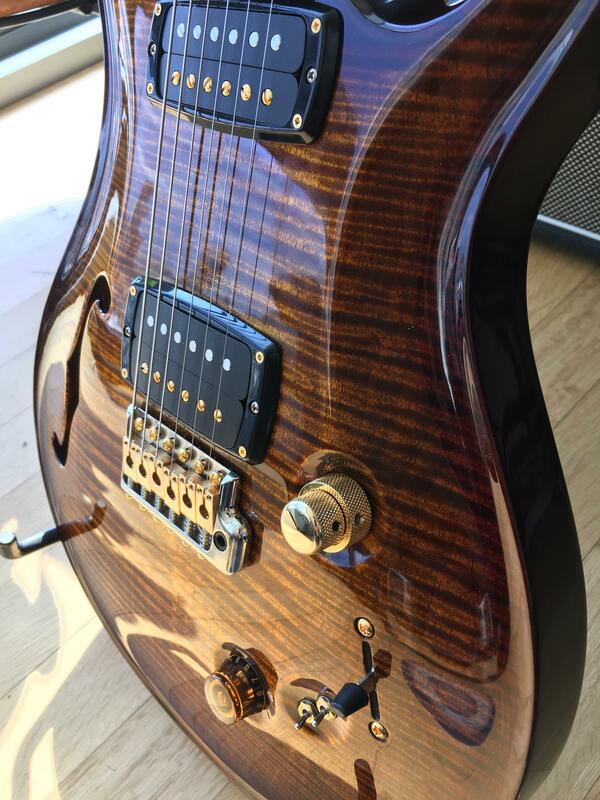 Please note I had this wonderful guitar modified by the guys at PRS PTC to include individual volume control. We had concentric volume knobs installed, but the original pot is in the case if you prefer the original configuration. ALSO, I had them switch out the white pickup rings for the black ones. The white ones are also included in the case. For a more detailed history feel free to PM me. ssmug and ZeyerGTR like this. SO nice. Sell the bed! GrisKy and dmkz like this. 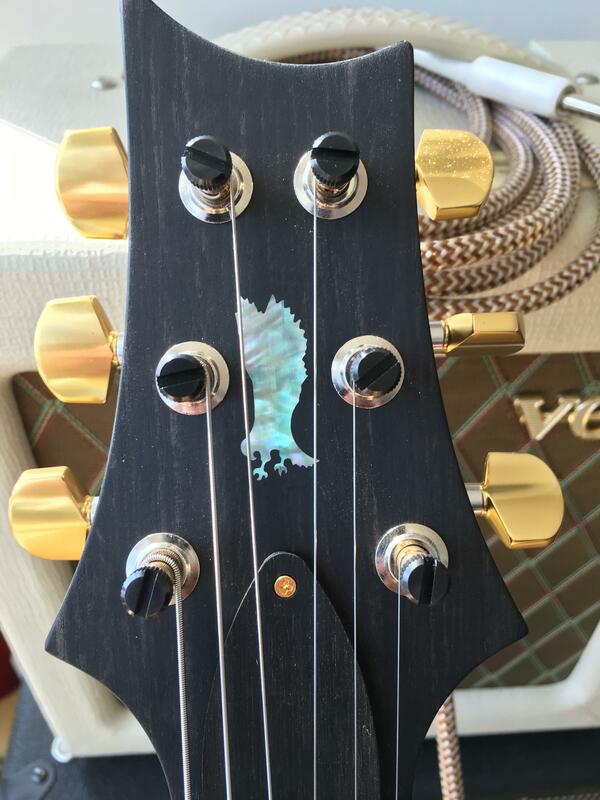 I'm pretty sure you can see yourself in the finish of that beautiful guitar...who needs a mirror? 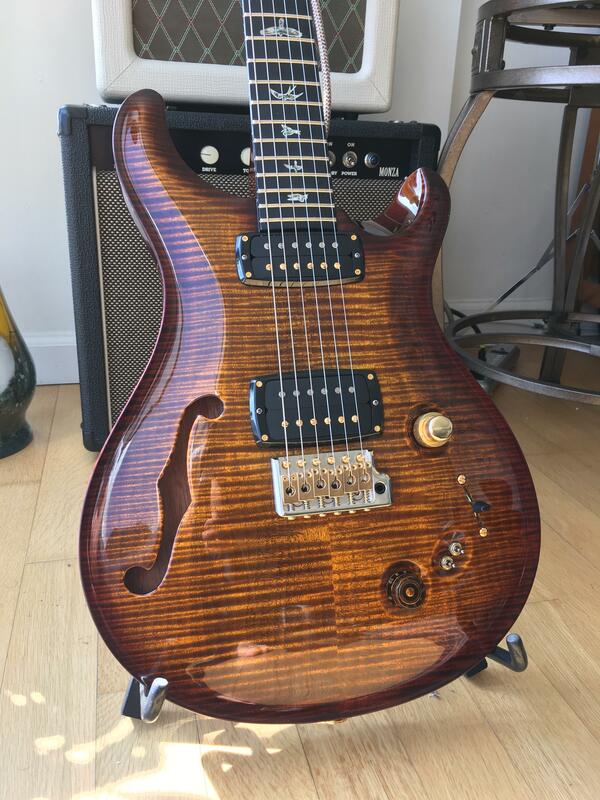 Thats the best looking Prs I've ever seen! Good luck! Trade for a mirror and a bed?